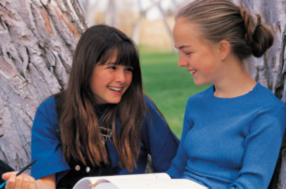 The language that ten to twelve year olds use is almost as complex as the language adults use. Children this age are now playing with words and delight in the use of word-based problems. They are capable of modifying the complexity of their language to fit the audience they are speaking to and the situation they are in. use the irregular past tense (For example: “He ate and then slept.”). understand the passive form (for example, “The book was carried by the teacher.”). ask for clarifications as needed. pronounce all sounds in their native language. Children at this age are very proud of all the new words they are learning every day. 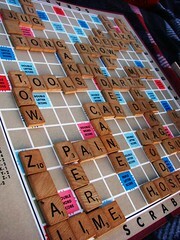 Language-based games, such as Scrabble (Fig. 2), make great gift ideas. Children at this age are capable of pronouncing all sounds in their native language. Any articulation difficulties that have persisted to this age should be brought to the attention of a speech and language pathologist.